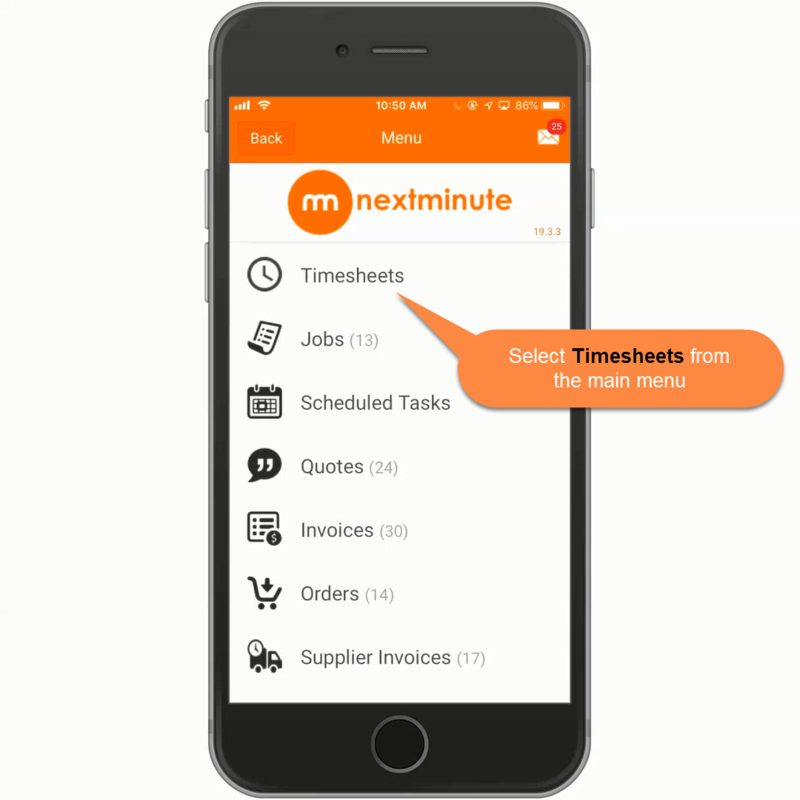 Timesheets overview - Mobile – Welcome to the NextMinute support and feedback centre. 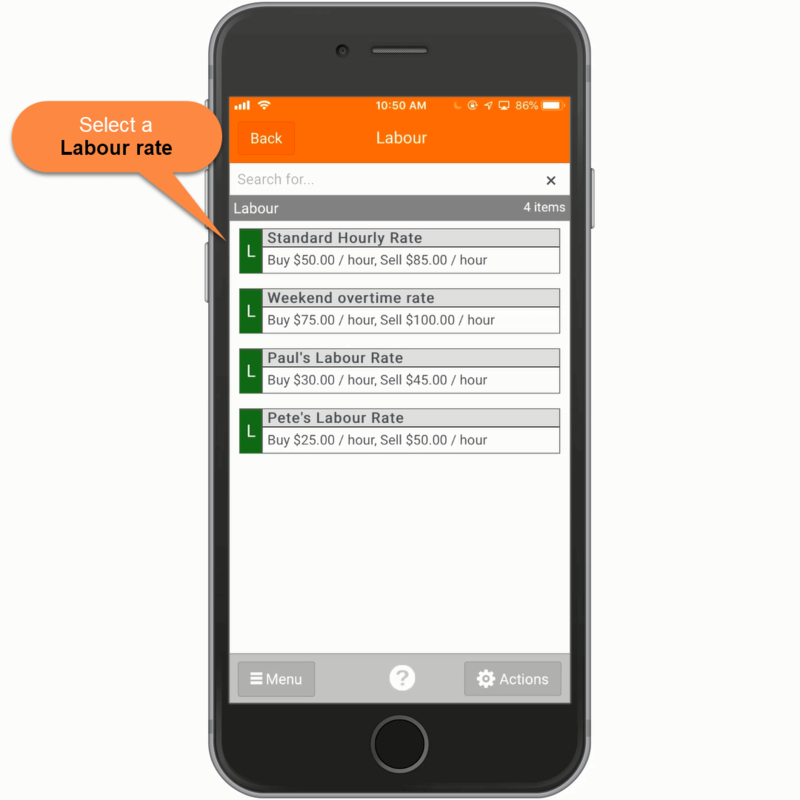 The Timesheets feature allows you and your team to easily add hours to Jobs & tasks for each week. 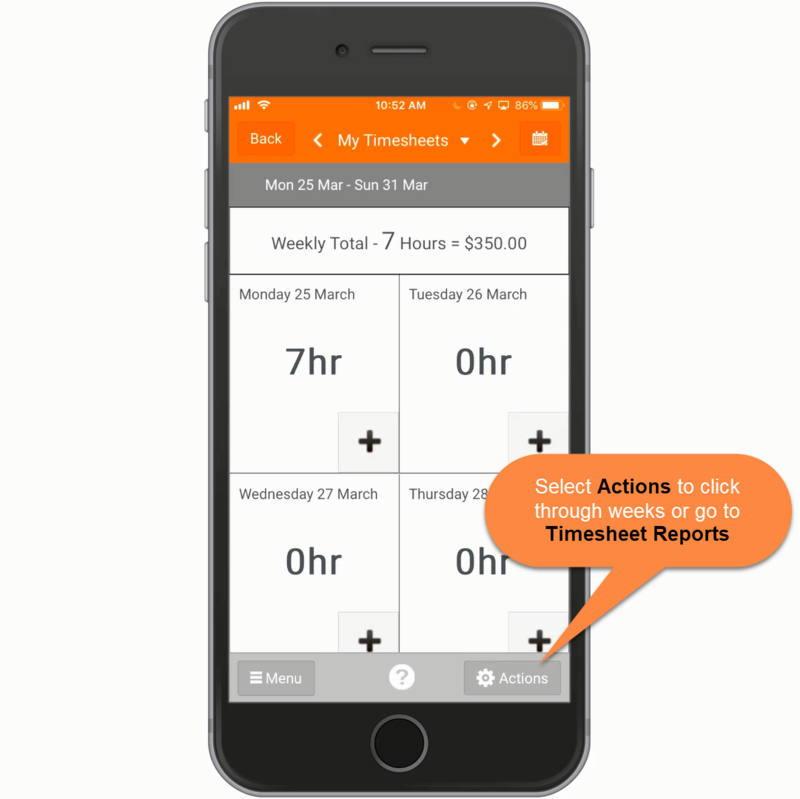 You can view time added for the week and add time via the Timesheets main screen. 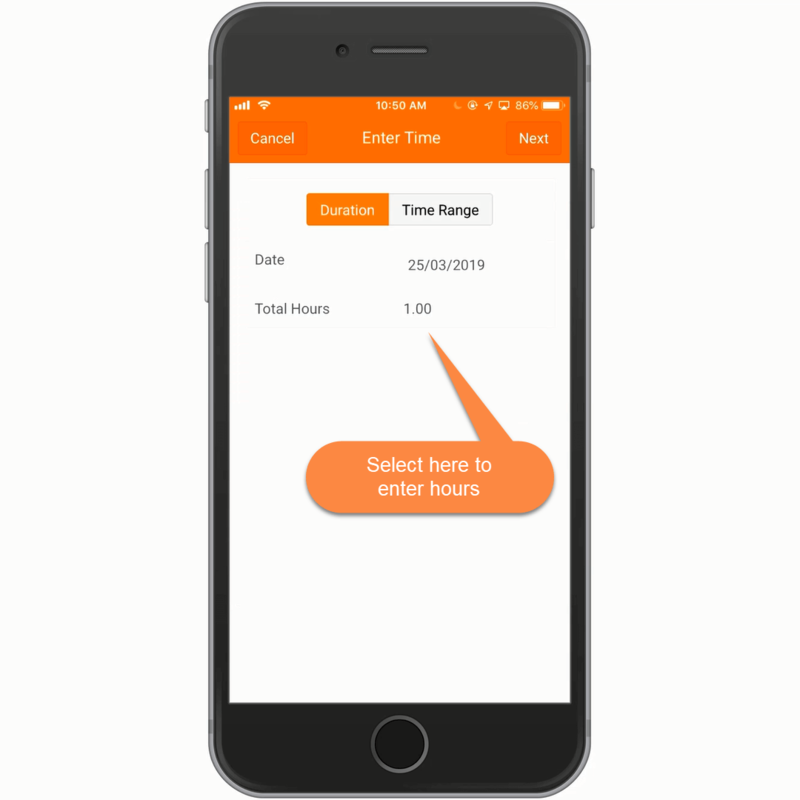 Clicking on the plus sign will bring up the below screen, Select a Job from your list, Select a Task or Select an internal job to add your hours to. 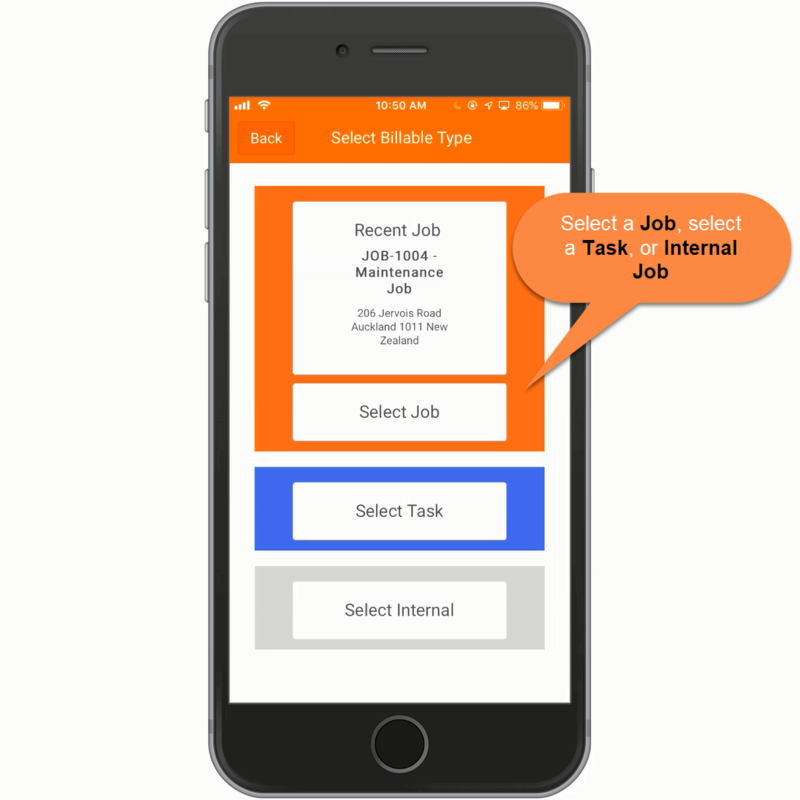 We are selecting to add time to a Job. 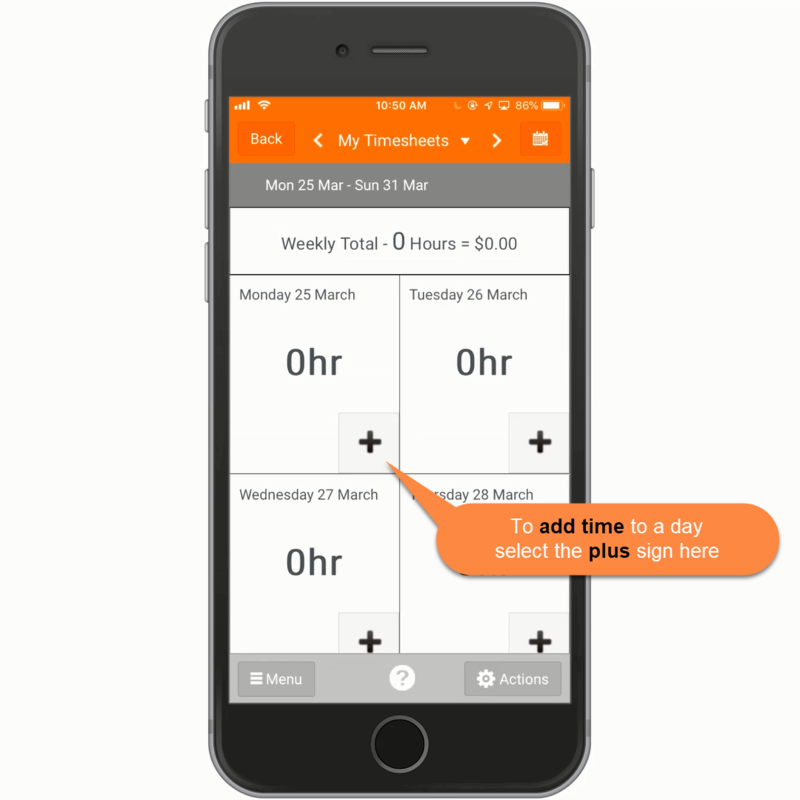 Note: You will not see pricing if this has been switched off or you. In this example we are entering time via Time Range. 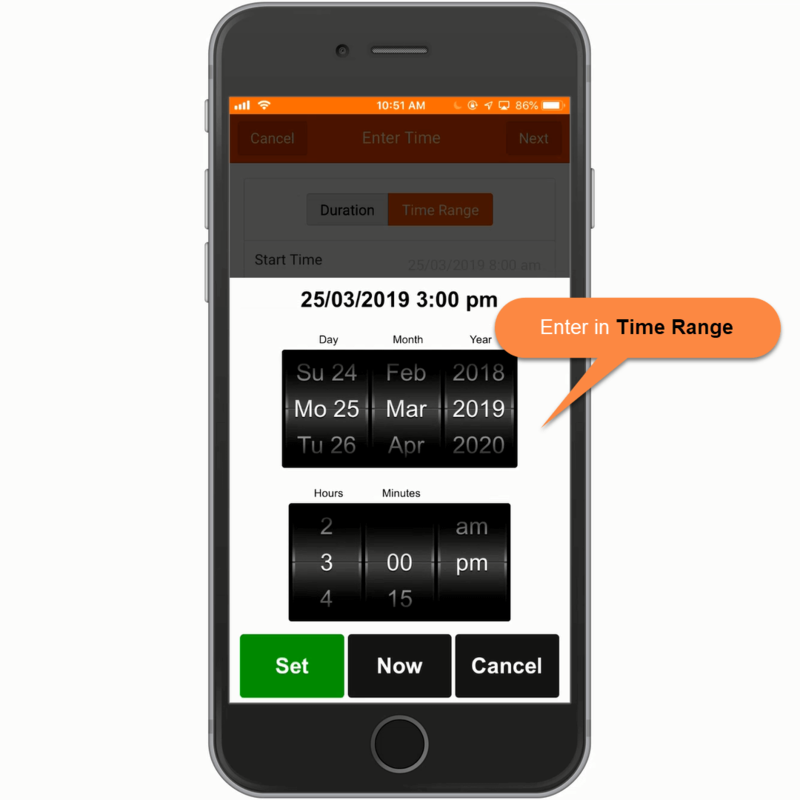 Enter the Time Range and on which date, then hit Set and Next in the top right corner. 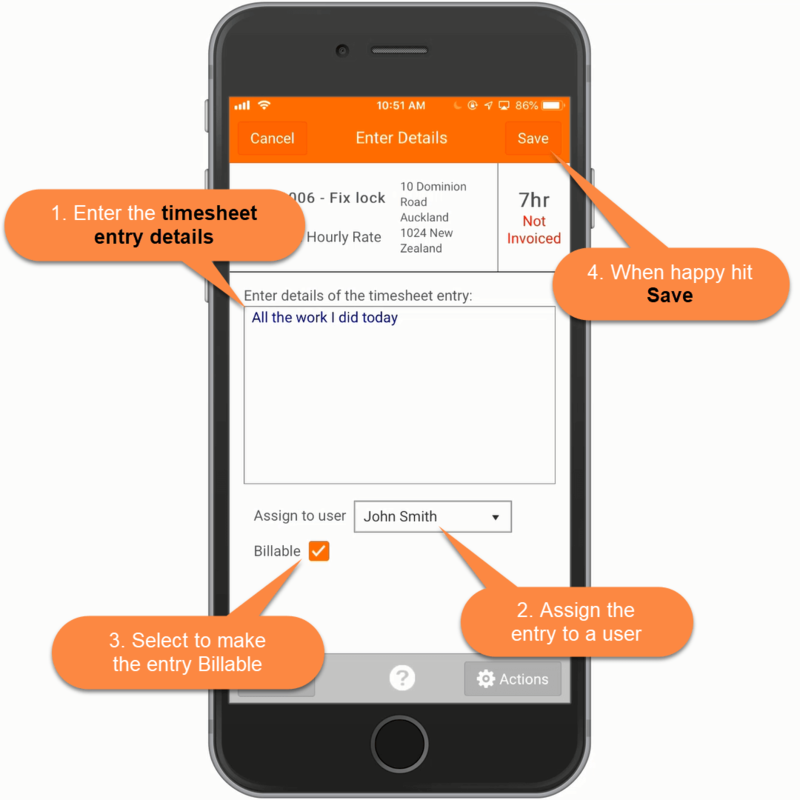 Step 7: Enter details for the timesheet entry and hit Save. 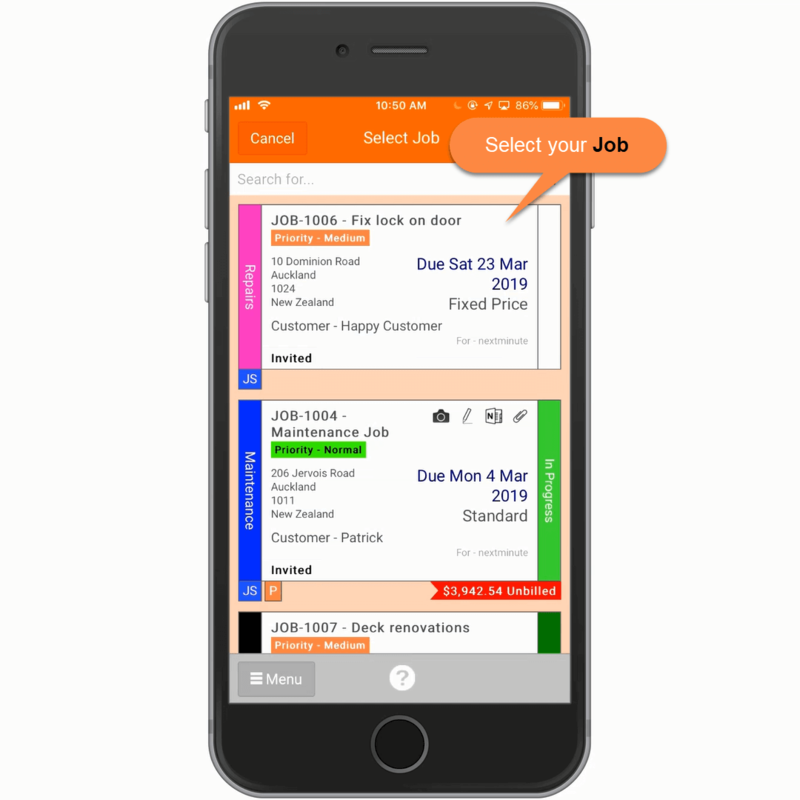 You can View or Change the job by selecting the Job, Edit the hours entered by hitting the hours, e.g 7hr, Enter timesheet entry details. If your permissions allow you to you assign to a different user and tick/untick to make entry billable. Hit Save. 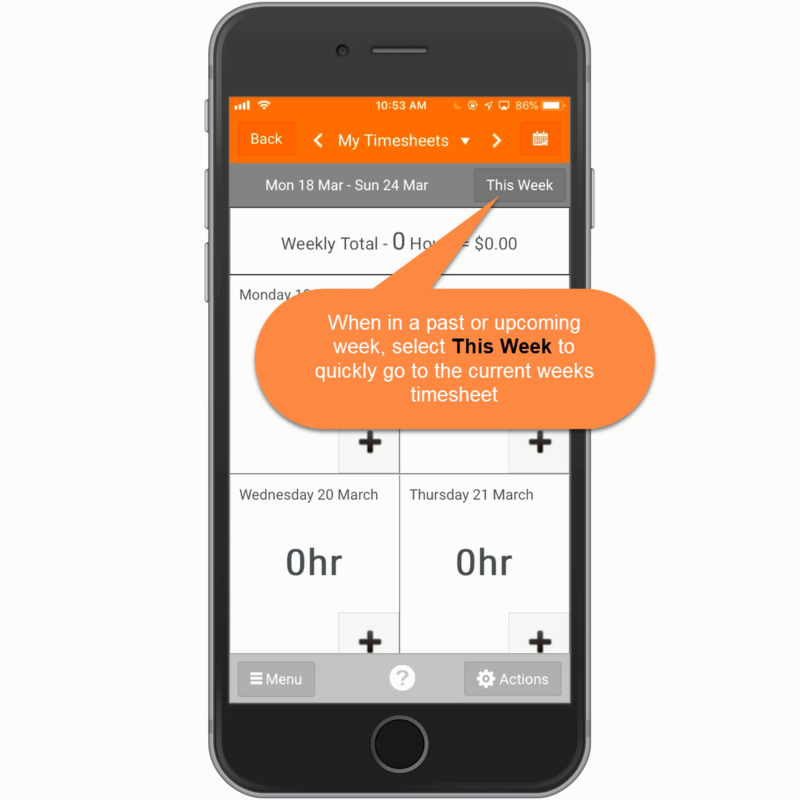 Your hours are then visible for that day in the main Timesheets screen for that week. 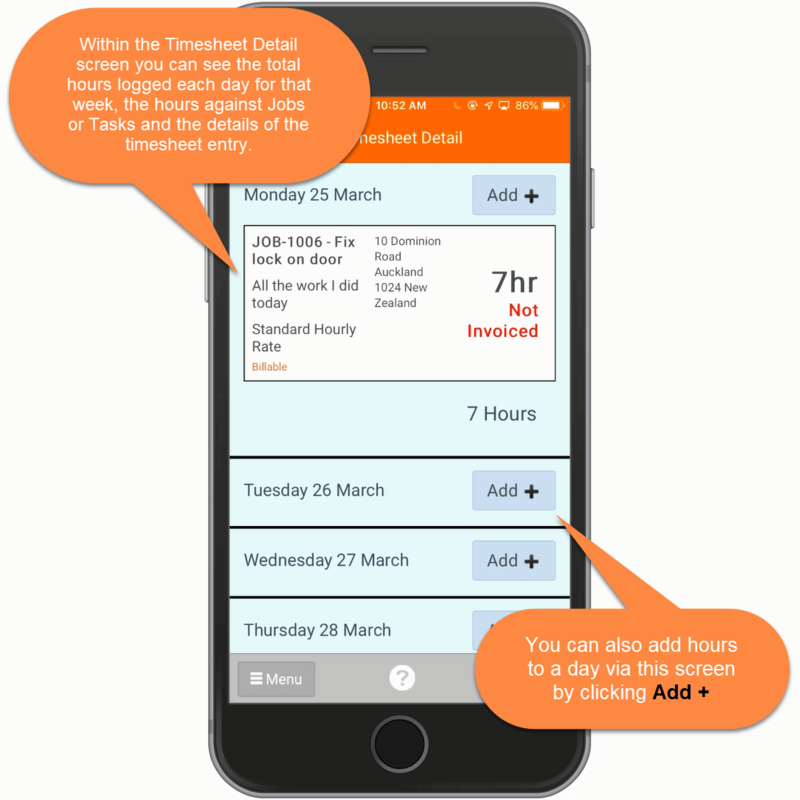 Clicking on any day in the previous screen will bring up the Timesheet Detail screen. 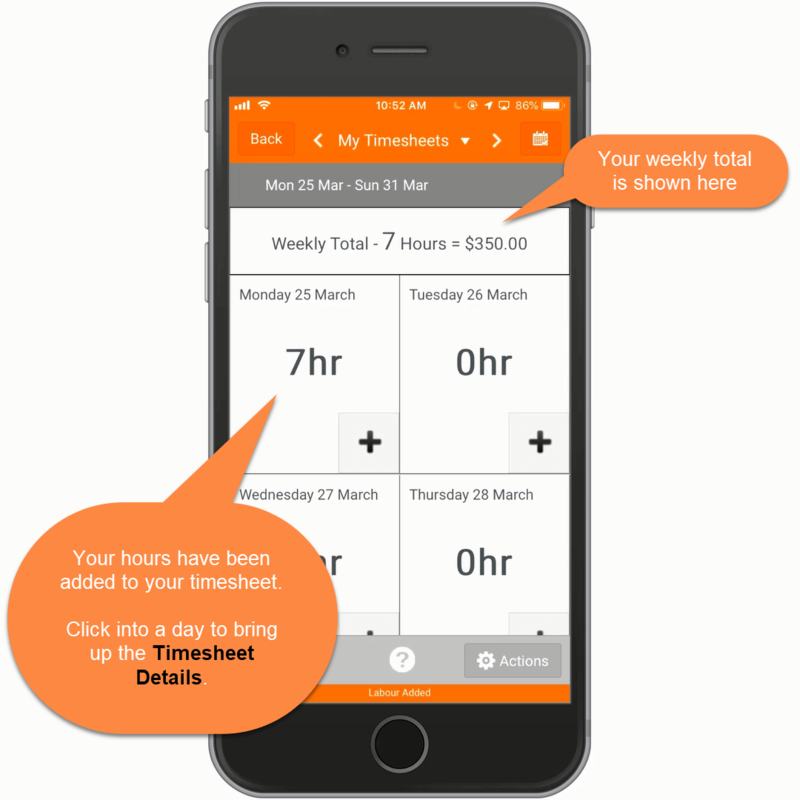 Here you can scroll through the week, view total hours logged for each day and hours logged against a Jobs or Task along with its details. 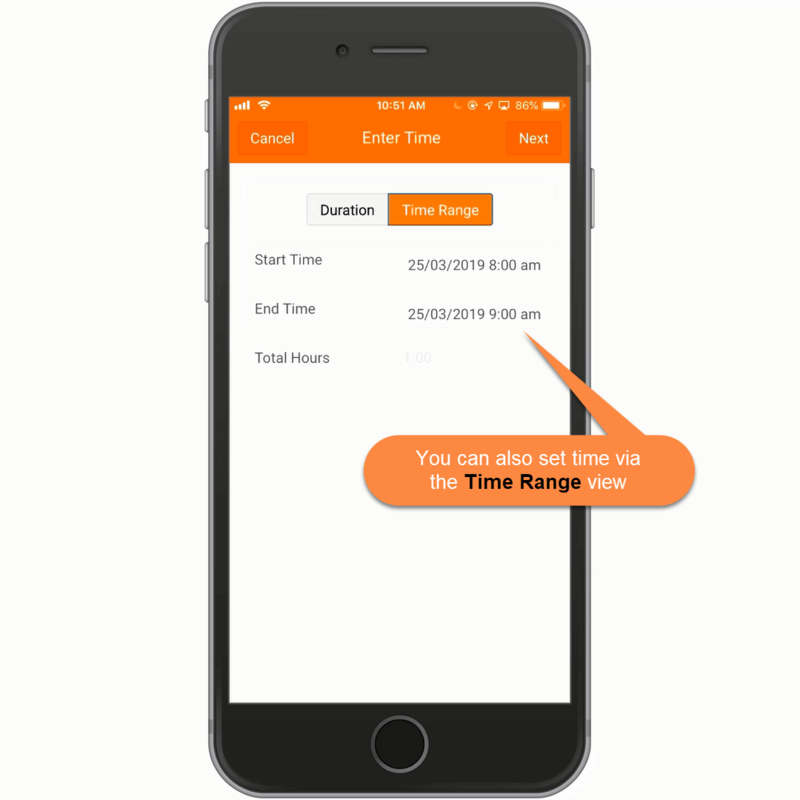 You can also Add time via this screen as shown below. 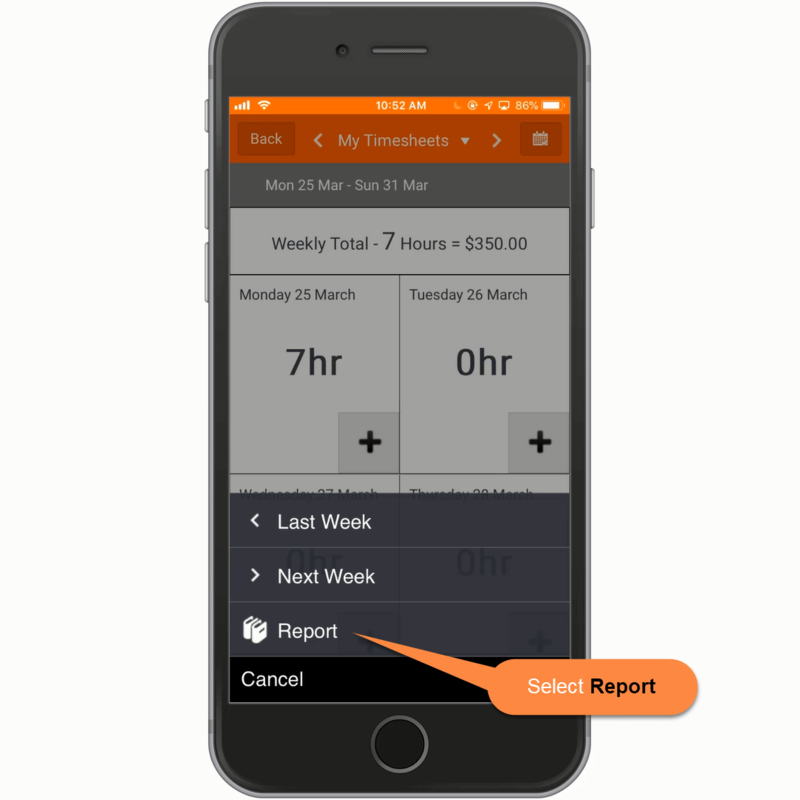 Select Actions and Reports to open up a Timesheet Report for that week. 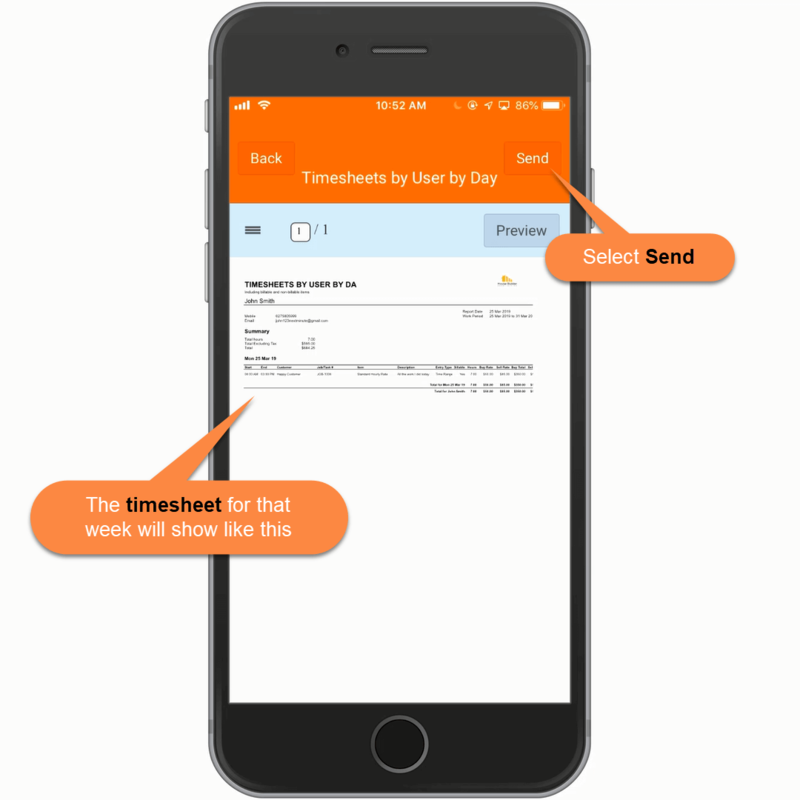 Select Send and select a recipient to send your Timesheet Report to and hit Next. Enter a Subject and Message if required and hit Send. Clicking on the Calendar icon will bring up a calendar as per below. 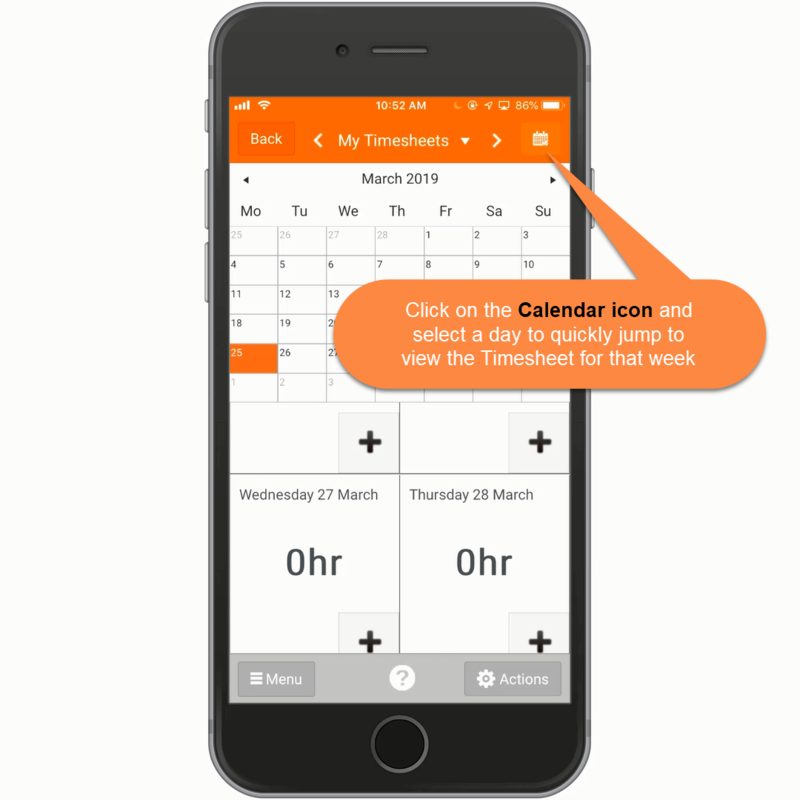 You can click through months and get to timesheets for past and upcoming weeks easily by clicking on a day in that week. Click on the arrows as shown below to scroll through past and upcoming weeks. 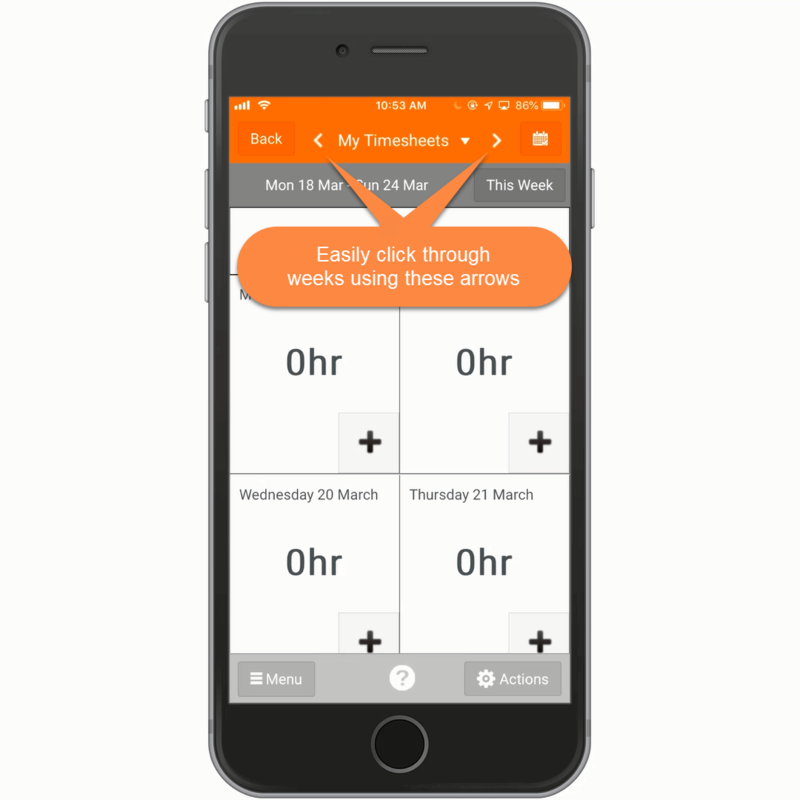 When in a past or upcoming week you can select This Week as below to quickly go back to the current week.